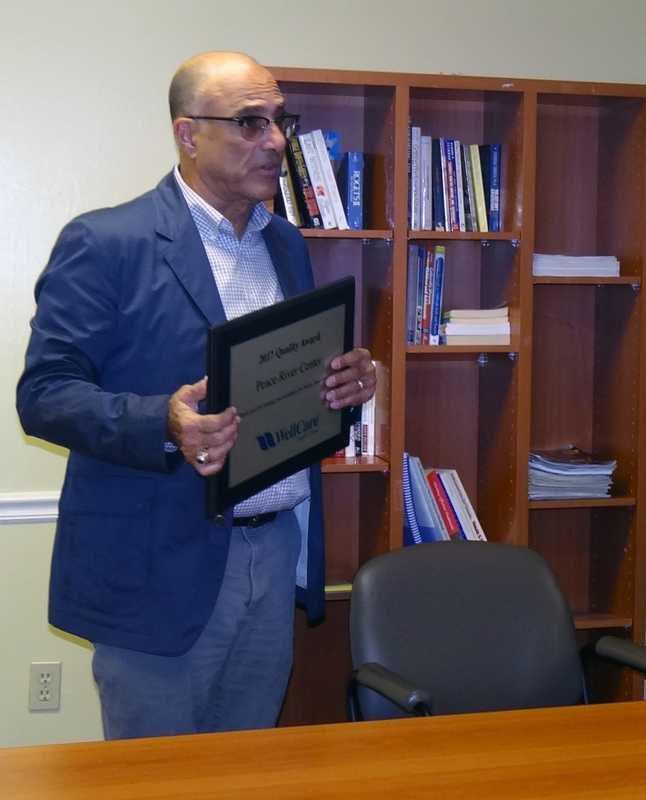 Dr. Abid recently presented Peace River Center with the WellCare Health Plans 2017 Quality Award. 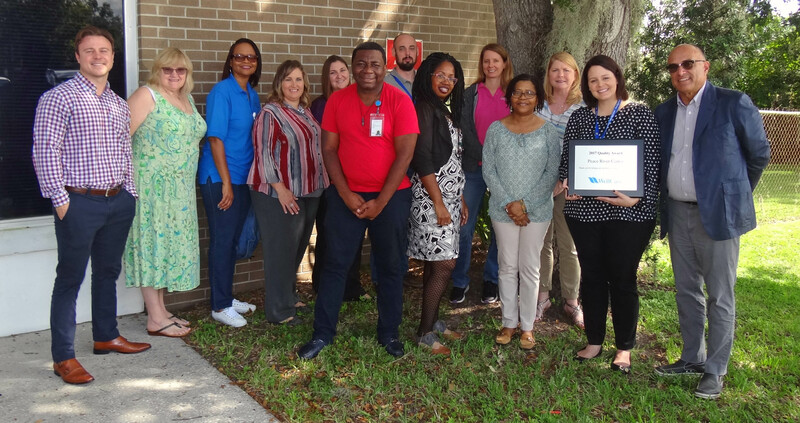 The recognition resulted from WellCare teaming up with Peace River Center in June 2017 to form a new, value-based care agreement for a behavioral health home. The partnership provides integrated care coordination for members with severe medical and behavioral health issues in order to improve overall health and reduce hospitalizations and readmissions. Peace River Center has shown success throughout the year and has 72 active members enrolled in this program. We provide comprehensive care management, care coordination, health promotion, comprehensive transitional care, individual and family support as well as referrals to community and social support services. The program expectation for this behavioral health home model results in improved health outcomes, better quality of treatment, and improved cost-effectiveness. Peace River Center’s behavioral health home also aims to improve patient care experience and reduce the use of hospitals, emergency departments, and other costly inpatient care.